A leak by Activision on an Amazon listing may have just revealed some interesting information about its new James Bond game, 007 Legends. 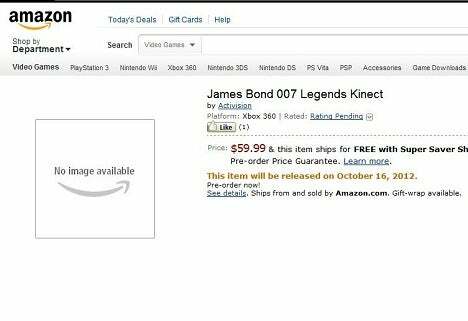 The Amazon listing has since been removed but stated that 007 Legends would have Kinect support and a release date of October 16. There’s no telling if this is real or not, but it’s definitely worth noting.